The Irish Poor Law was introduced in 1838. While it was generally seen as unpopular in Ireland, there was initially little opposition to its implementation in practice. Indeed, in some areas, local opinion pressed for the act to be brought into effect quickly in order to deal with distress. However, as the financial implications of the act, in particular the collection of poor rates, became more apparent, opposition grew. 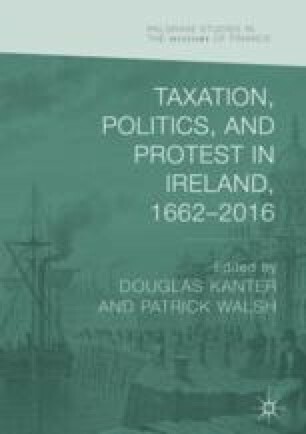 This chapter examines the resistance to the collection of poor rates, which peaked around 1843, from a geographical and political perspective.